‘Every new year marks a place in time a stake in the sand, a period to reflect and change what is bad and create what is good. Our lives demand a resolution for change, but in order to change we must have something to reflect upon’.We asked to see the bad turn good, the black turn white, the young turn old – each a reflection of change. John has held an interest in photography ever since his parents gave him a Brownie 127 when he was less than 10 years old. He found the act of saving a split second of pictorial history for ever as a wondrous affair – and still has some of those early images. He went on to controllable cameras and learnt how to print his own work in the dark room. John&#039;s first SLR was a Zenith aka a &#039;brick&#039;. He is still a proud owner of a Rolliecord and a Pentax Spotmatic, though sadly he doesn&#039;t get much use from them now. He has been a member of Kingsbridge and District Camera Club for the last 10 years ." They have helped me to learn so much and I regularly enter their competitions as well as Western Counties Photo Fed." 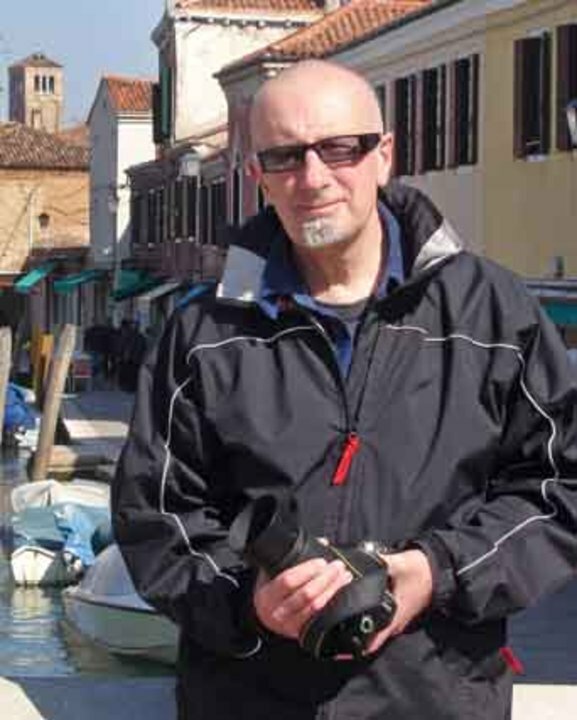 John is a member of the Royal Photographic Society and judges various photographic competitions and completed the RPS Western counties judging course. This was a standout image. As soon as I saw it, I knew this was the one to beat. The quality of the composition and photographic reproduction was of the highest quality. Most of all, this image touched me through the link between old and young. They are clearly happy together, with such a strong bond. Both of the subjects are looking in the same direction. This image tells a lovely story, especially the little boy in the hammock, who seems to be getting away with 'murder', whereas the little boy who is the subject of the photograph is suffering. The composition worked well. Three is a powerful group and they are well placed in strong positions in the image. This is a little contrived, but it is a fine piece of reportage, and monochrome was the way to show this image. I loved the range of ages of people in this picture and the way they are so focused on this tiny device. The quality and composition was excellent in what looked like tricky conditions. I am so pleased you only used available light. This is a wonderful idea and the empty loo roll was well placed, however the loo roll needed to be sharp. This was a beautiful, atmospheric image, but I wondered if it would have had more impact in portrait rather than landscape. A strong image, beautifully composed and clearly shot in terrible conditions, and I wondered somewhat about the title. This is a photographer's image, because your eyes were switched on and this composition fits the request for new beginnings so well.